What are the best types of home loans? Whether you’re experienced or a first timer home buyer there is a perfect loan for you! If you have served in the military you can access a VA purchase loan. The benefits of a VA loan are NO down payment required and no mortgage insurance and generally the approval is more lenient for qualifying for the loan than a conventional loan. Also the interest rate is typically 0.25% lower than a conventional loan. The benefit is that FHA only requires 3.5% in down payment funds (most of which can be gifted from a family member). Like a VA loan, the approval is generally more lenient on qualifying than conventional loans. Also, the interest rate is typically 0.25% lower than a conventional loan. Recently Fannie Mae and Freddie Mac have lowered the down payment requirement to only 3% down if you have good credit (typically that means a 700 mid score or higher). Otherwise the requirement is a minimum of 5% in down payment which also can be gifted from a family member. The benefit of a Conventional loan option is with good credit (again above 700) you can elect to have Lender Paid Mortgage Insurance (LPMI). Mortgage insurance is required anytime you get a 1st mortgage without having a full 20% equity (the only exception being a VA loan). LPMI allows the borrower to increase the interest rate (typically by 0.25% and then NOT to have to pay monthly mortgage insurance). This works in the borrower’s favor with a lower total monthly payment in almost every instance. One of the most best financial investments someone can make is buying a home. Every other investment you make you have to pay taxes on the gain on that investment. If you live in your primary residence 2 out of 5 years before selling it you will have ZERO capital gains and taxes up to $500,000 for a married couple / domestic partners.In addition, when looking at the cost of having a mortgage compared to paying rent most people don’t calculate the benefit they will get from their income tax deduction. Mortgage interest and property taxes can be deducted and can make it actually more affordable to buy a home than to rent. For example if you rent for $2,500/mo and are in a tax bracket of 25% for your household then this link MCEdge.tv shows 4 different purchase options that when adjusted for the tax benefit are ALL more affordable than the rent being paid. If you would like to get a personalized report that compares your current rent and tax bracket to the benefit of buying with little to no money in down payment, please fill out this brief form. In California there is a statewide program known as CHDAP – California Homebuyer Downpayment Assistance Program. CHDAP has income qualifying limitations but if you qualify you can receive a grant of up to 3% for your down payment that doesn’t have to be paid back until you sell your home. This can be used with either an FHA or a conventional loan for first time home buyers. So when coupled with FHA, only 0.5% in down payment funds would be required and with conventional, NO down payment funds are required. Other down payment programs: Many cities – like Oakland, CA – have local down payment assistance programs available to first time home buyers. There are requirements and restrictions, but ask your mortgage consultant to look into this for you in the area you are looking to buy in. How can I get the lowest rate on my new home loan? To obtain the best loan possible, it is always advisable to work with a mortgage broker who can shop around for the best loan and loan type to suit your personal circumstance. There are a large variety of loan types as shown below.How do I get my first home loan? 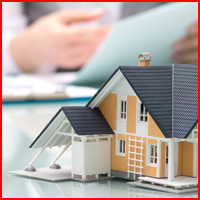 There are several loan programs available to you if you are considering buying your 1st home.